TMC has got me all mathy-feeling, so here’s another unit! Or at least, the first part of it! I didn’t really change much to this chapter as from previous years, but I’ll go ahead and post everything so it’s all in one place. 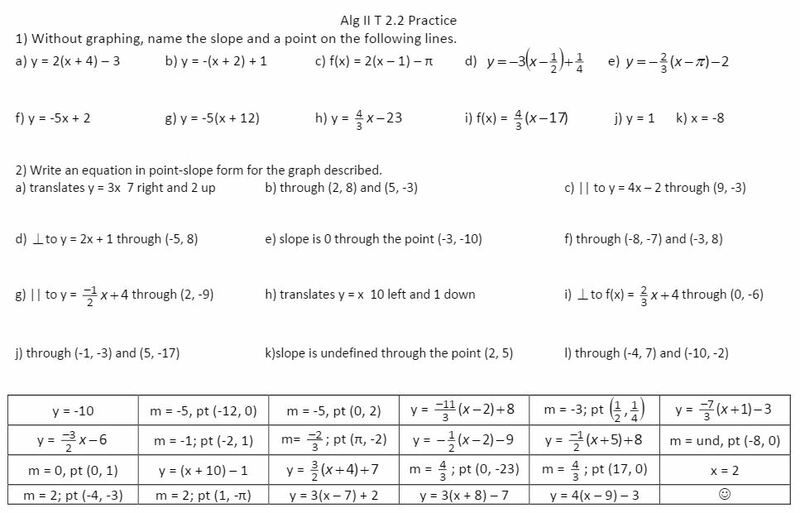 As usual, find more files and FAQs on my Algebra II Files page. (file here) I took the NAGS from Sarah at mathequalslove and I think the rabbits came from Shireen at MathTeacherMambo. (Definitely 2 of my top five math blogs). Here’s part II, but according to my calendar, I did part 1 and 2 the same day. 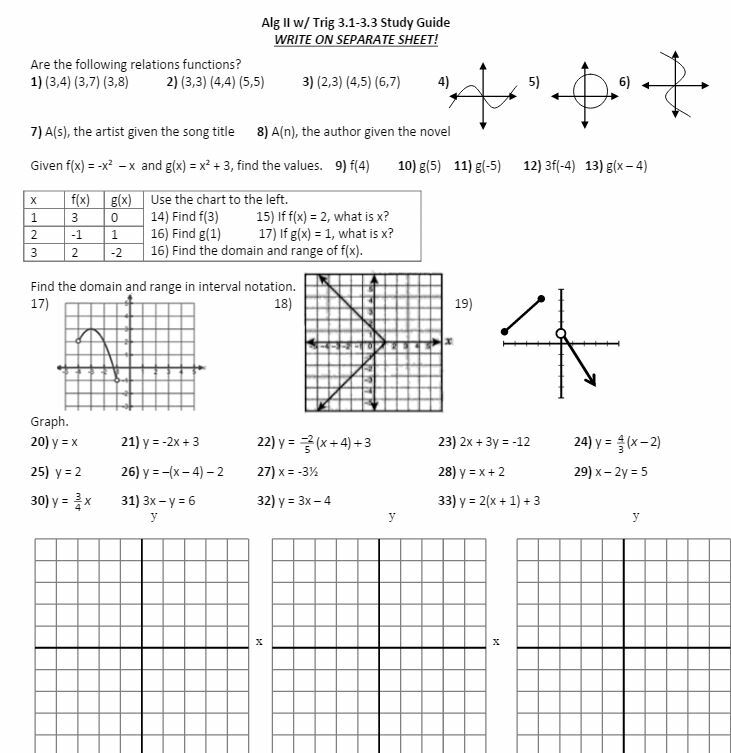 (file) I’m just going to warn you if it’s the first time teaching Algebra II, the struggle is real when trying to find function values from a table or graph. Just be prepared. 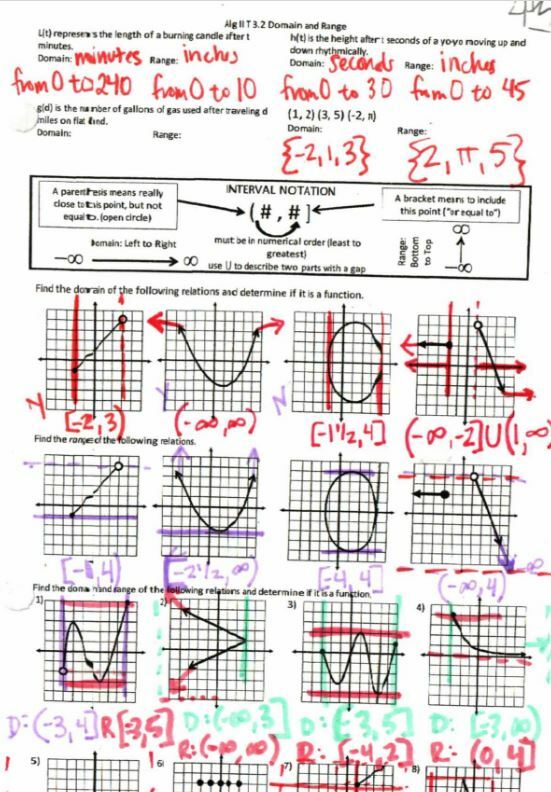 Also the magic parentheses for evaluating a function = amazing. We took the parenthetical promise (h/t mathequalslove again) in Unit 1 that said every time we substitute in a value, we put it in parentheses. And we’re going to be substituting for x, so let’s go ahead and put the parentheses first like: 3( ) + 2 then INPUT the INPUT INTO the parentheses! 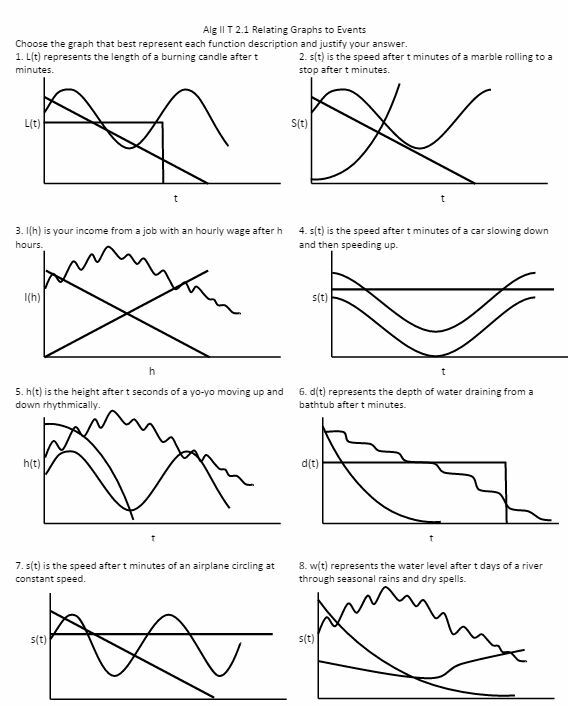 (file) Then it’s the ever-popular graph stories! 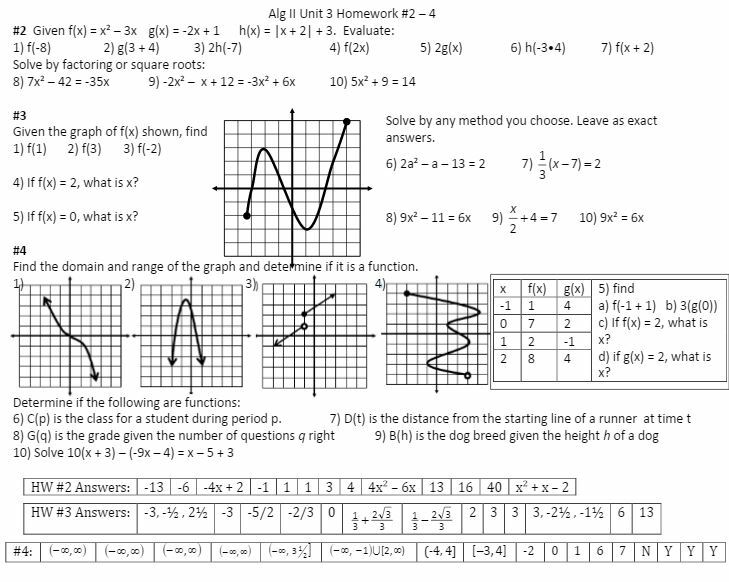 (file) Since we’re doing this before we did inequalities, it’s domain and range PLUS learning interval notation. Note the color with a purpose! 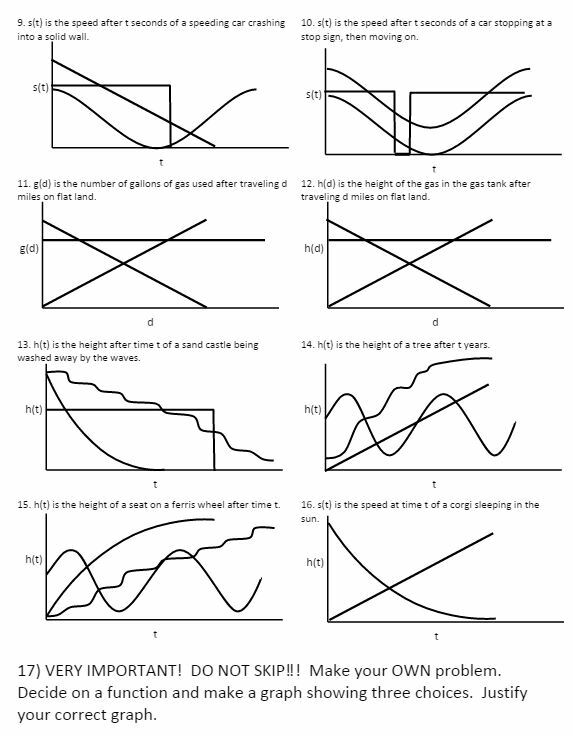 I have them “box in” the graph before they think about writing the interval. I also use Sam’s domain and range meter, sometimes breaking out the spaghetti to use if I feel like picking a million tiny pieces of spaghetti off the floor. (file) As you can see, I always go back and forth on graphing standard by converting or by x and y intercepts. Here’s the boring homework file. Now here’s some exciting stuff! This is a pretty magical activity that is a really good introduction to the (h, k) form. Just read question 1 and let that awesomeness just sink into your brain. (file) And of course a study guide video! Off to make another post!